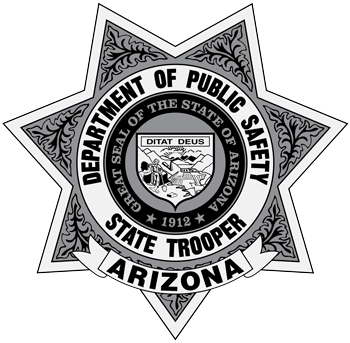 The Department Records Unit (DRU) maintains records for collisions (accidents) that were investigated by DPS Troopers occurring on an Interstate or State Highway. If the report you are requesting was the result of a collision that occurred on a town, city or county road, contact the law enforcement agency in that jurisdiction. The Department Records Unit receives completed reports from DPS Troopers within 14 days of the incident. Please wait at least 14 days to check on report availability by contacting the Department Records Unit at (602) 223-2230 or (602) 223-2236. Arizona Revised Statute §28-667 prohibits examining or receiving copies of accident reports for commercial solicitation. "Commercial solicitation means a request for an accident report at a time when there is no relationship between the person or the principle of the person requesting the accident report and any party involved in the accident and there is no reason for the person to request the report other than for the purposes of soliciting a business or commercial relationship." Any photographs taken at the scene of a collision (accident) or arrest/offense/incident can be ordered from the Department Records Unit. Copies of Citations, Written Warnings, or Repair Orders issued by State Troopers can be ordered from the Department Records Unit. To receive a copy of a DPS accident report, Citations/Warnings/Repair Orders and/or photographs from a DPS accident or incident, follow the instructions below and complete the provided form on the link below. Please read all the instructions carefully before submitting the form. Credit Cards, Cash, business checks or money orders are accepted for in-person requests. Only business checks, cashier’s checks or money orders will be accepted for mail-in requests and should be made out to: Arizona Department of Public Safety. No cash or personal checks are accepted by mail. Note: For information regarding documents for the public other than collision reports, photographs or citations/warnings/repair orders, contact the DPS Public Records Unit. Offense reports may be requested by governmental agencies for criminal justice purposes. The agency must qualify as a criminal justice agency as defined by state law (Arizona Revised Statute 41-1750) to receive the complete report. Requests can be received via email at [email protected] or via fax at (602) 223-2915. Note: If you are NOT a Law Enforcement Agency, and are requesting an Arrest/Offense/Incident Report, contact the DPS Public Records Unit.